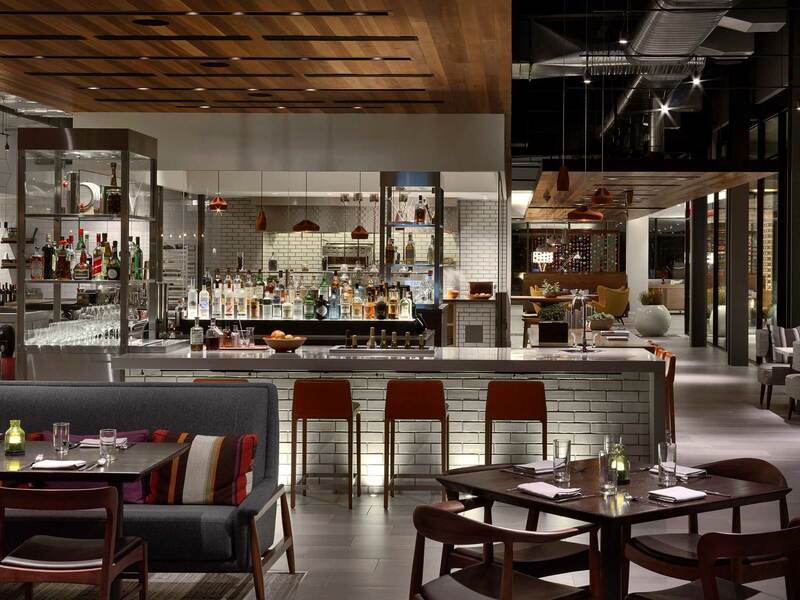 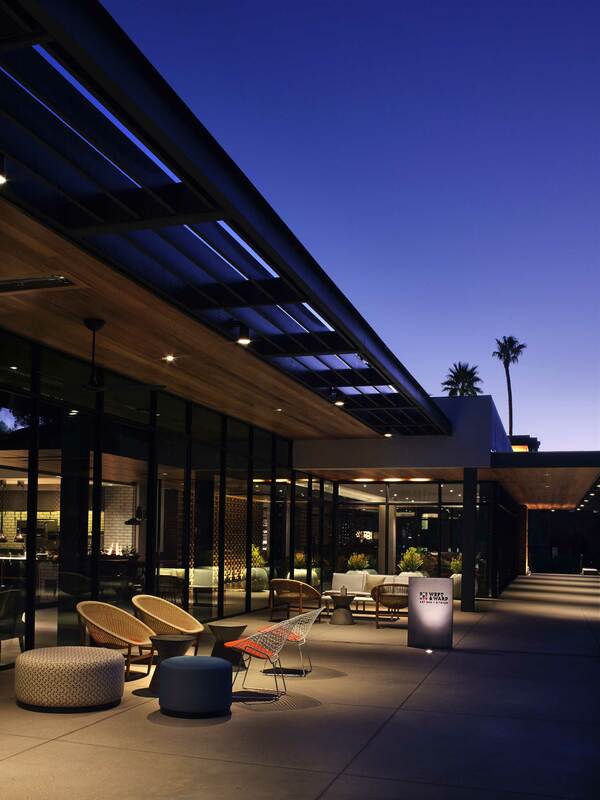 The Andaz Scottsdale Resort and Spa is a renovation of an existing resort, built in 1989, set within a 25-acre desert oasis in Paradise Valley overlooking Camelback Mountain. 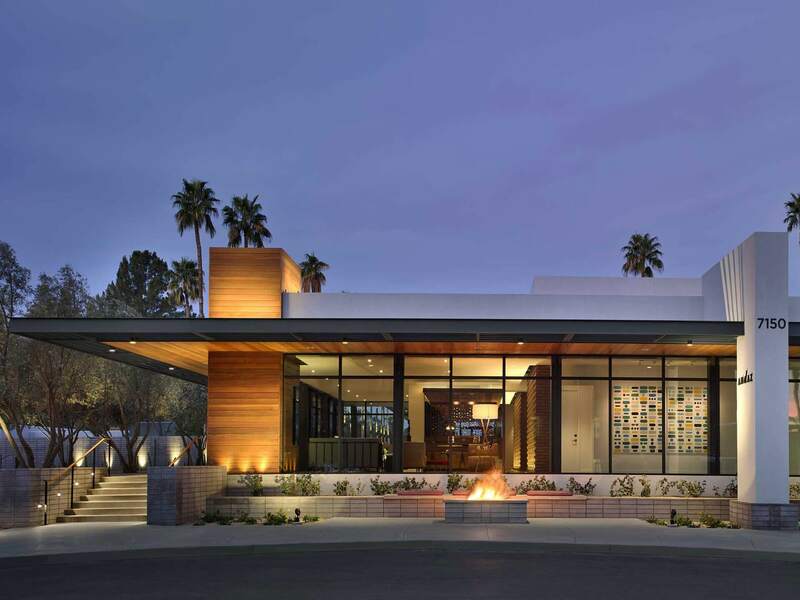 The renovated resort was designed as a “desert modern” retreat, inspired by midcentury modern architecture. 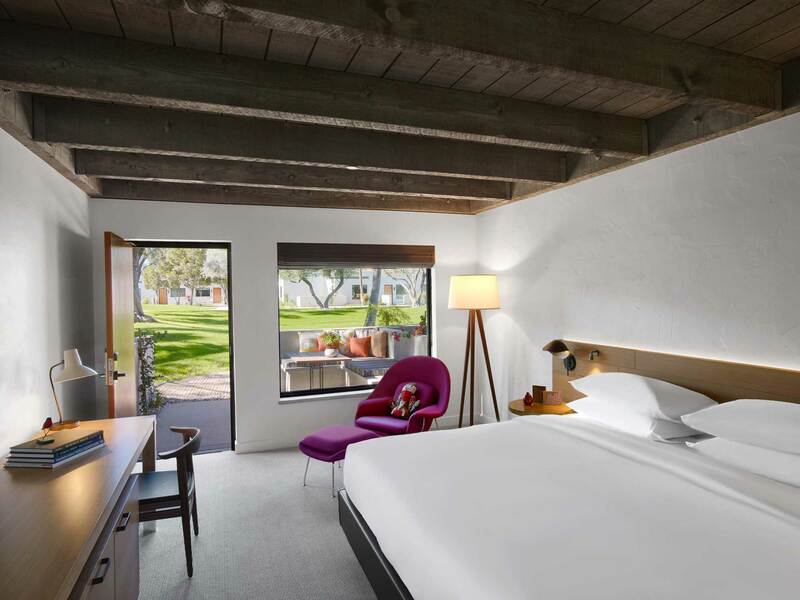 The 201 guestrooms and suites, an increase of 31 keys, were configured in clusters of casita-inspired bungalows, including two new Presidential suites. 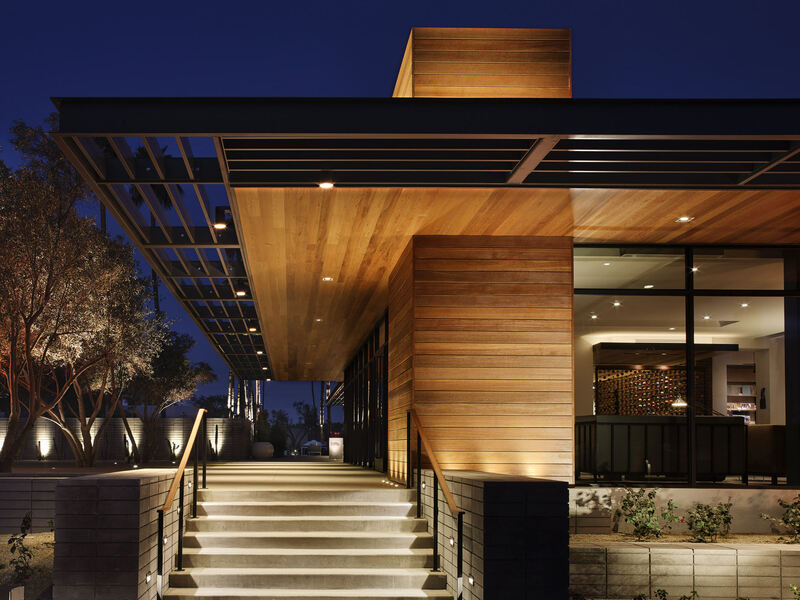 The Guest House is the central element of the resort, serving as a social gathering place for guests and locals. 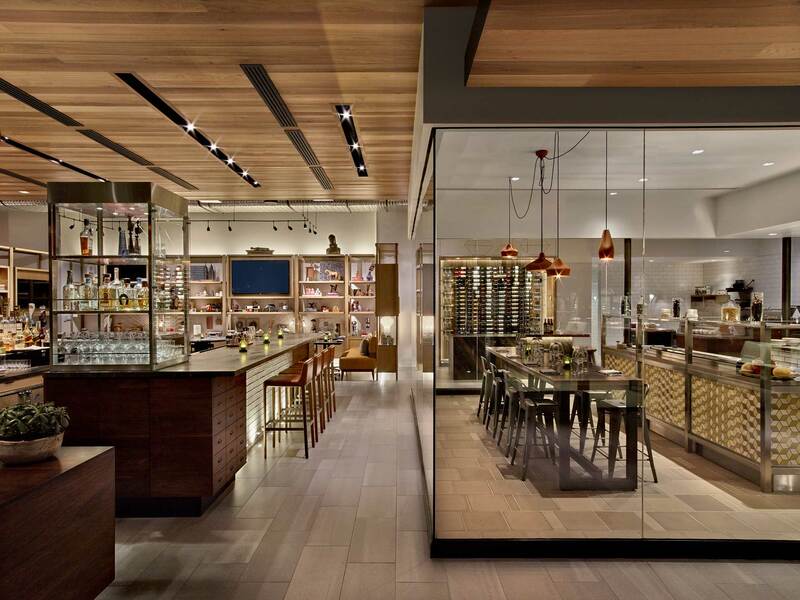 The architectural design includes floor-to-ceiling glass walls to highlight the unique and inviting indoor Weft & Warp Art Bar + Kitchen restaurant and lounge spaces. 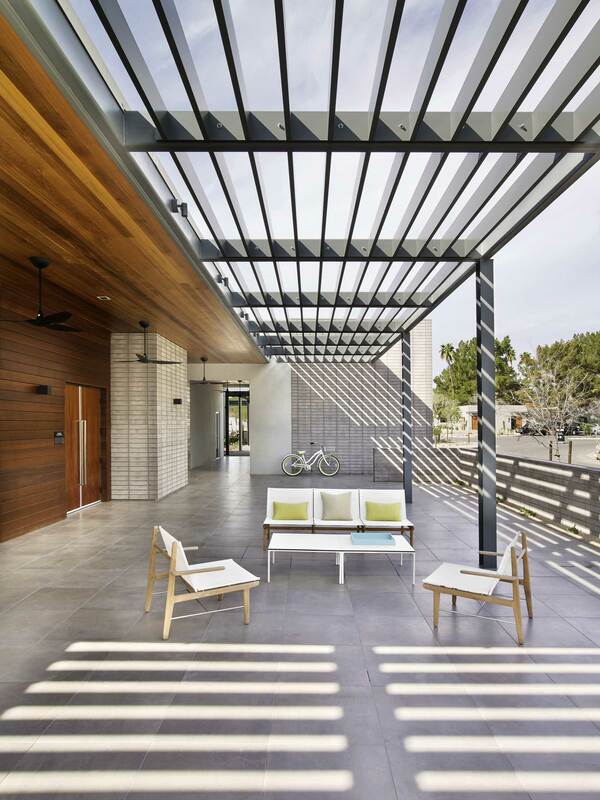 The exterior’s expansive patio spaces encourage guests to sit and socialize around movable furniture and multiple fire elements. 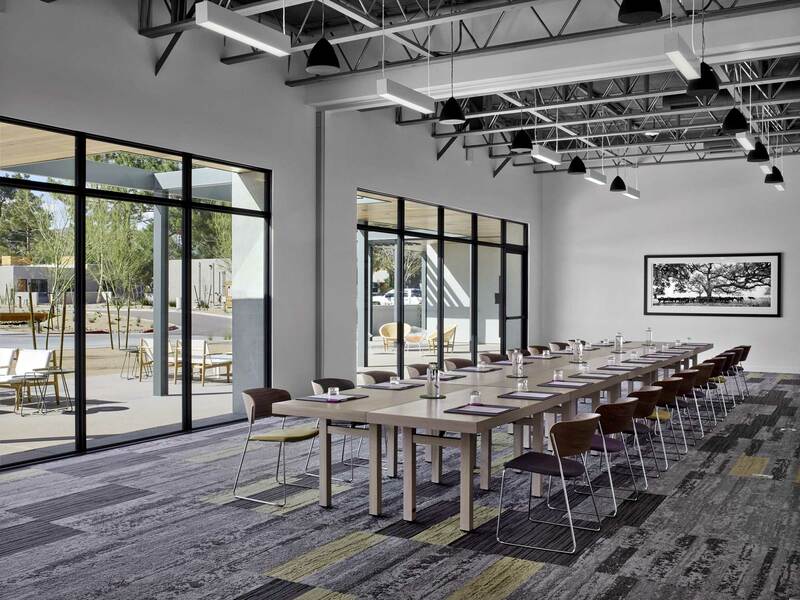 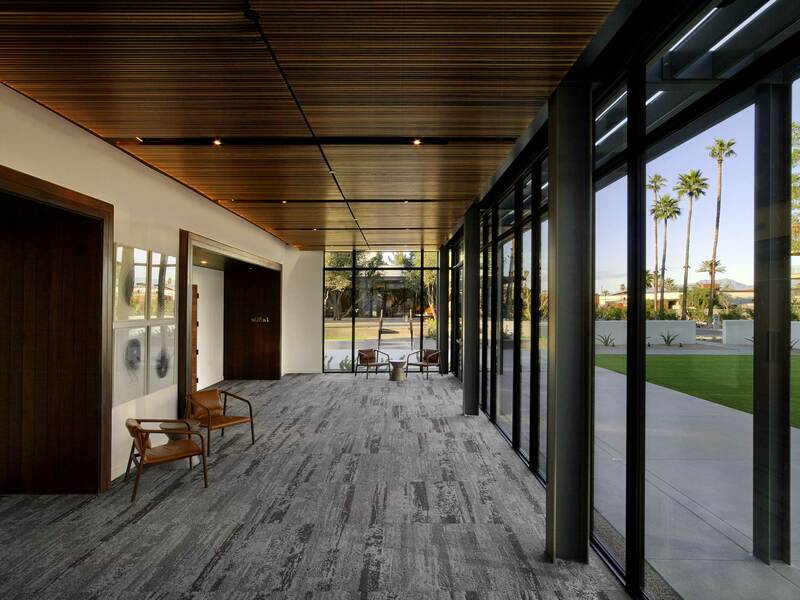 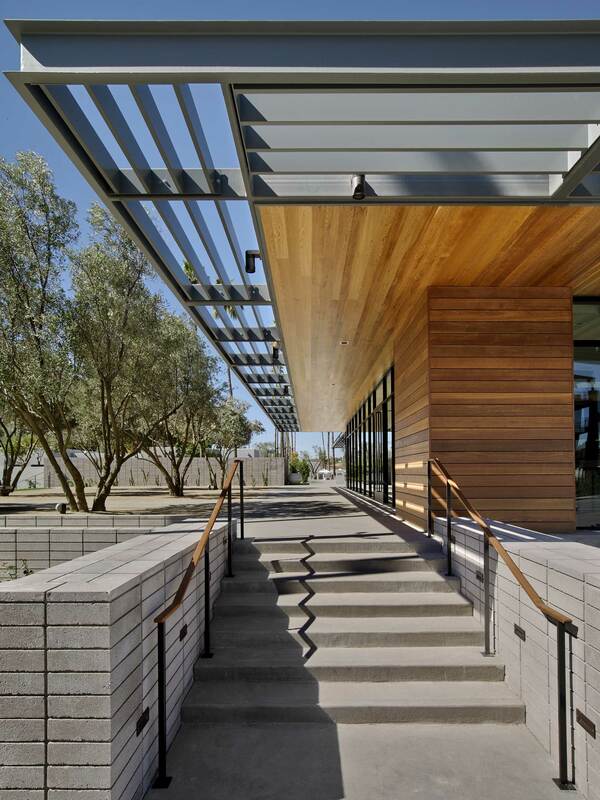 The meeting and events building features 10,000 SF of indoor space and 36,000 SF of flexible outdoor space to accommodate large and small gatherings. 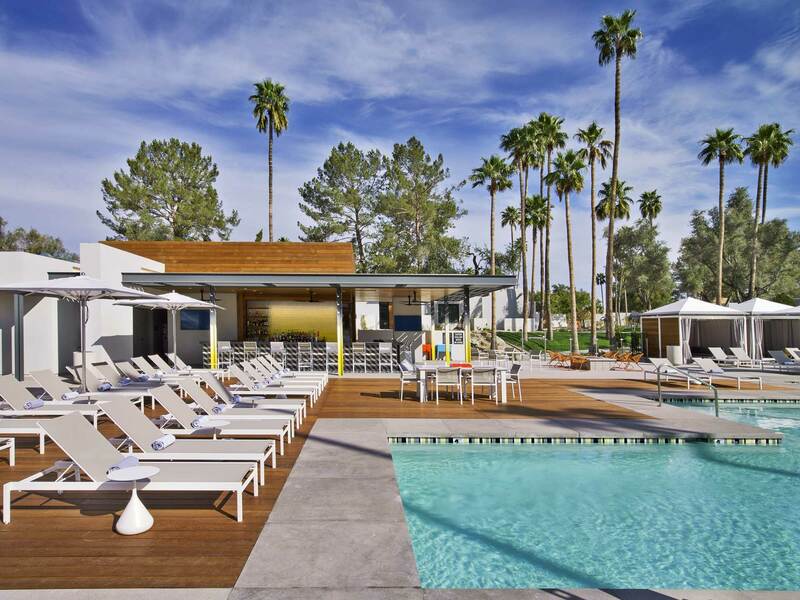 The main pool, lined with private cabanas, links to the Turquoise Pool Bar. 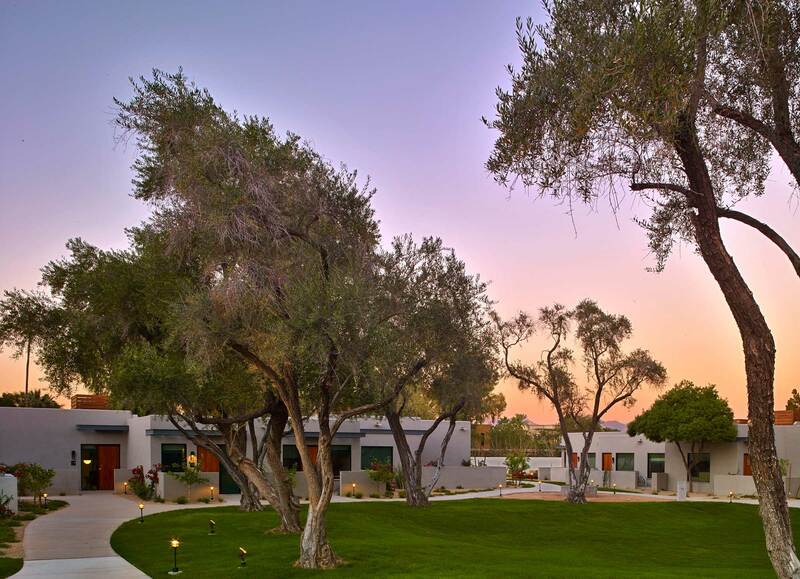 The building that houses the Palo Verde Spa & Apothecary is connected to the resort’s second pool, while the third pool is located in the secluded Retreat area. 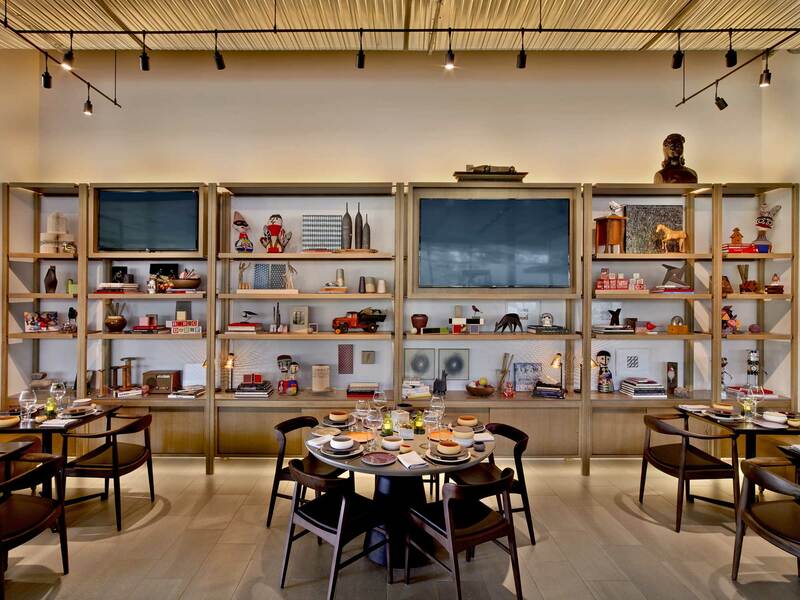 Delawie was the Design Architect and Architect-of-Record, and EDG Interior Architecture + Design was the interior designer on the project.